Here are Some Photoshop calligraphy brushes to download for free this week. They are standard Calligraphy brushes (30° and 45°) in 3 hardnesses (S,M,H) and 3 sizes. Engineered to give you a crisp edge, sharper than the default Photoshop round brushes at 100% hardness. 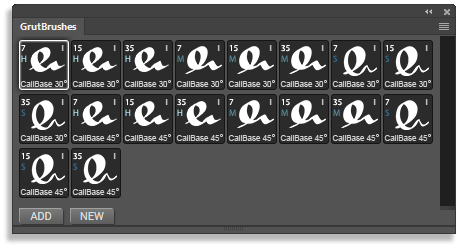 includes icons for the GrutBrushes plugin. 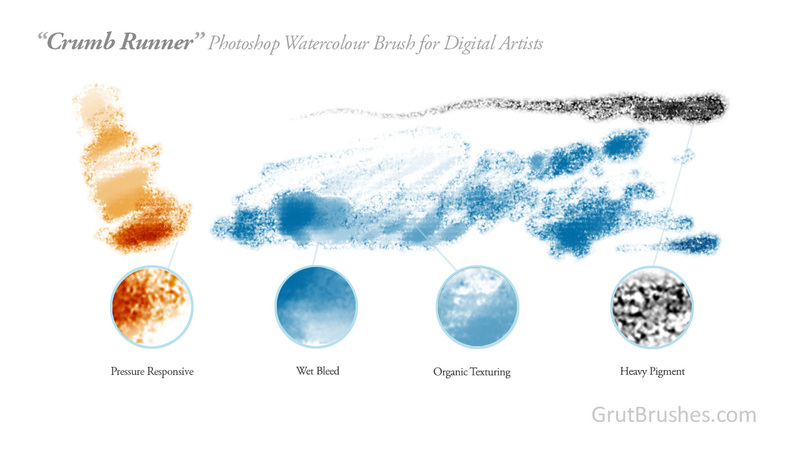 If you downloaded the GrutBrushes Photoshop Sampler set before March 19th and had problems or got an error when trying to use the Graph Paper tool, please re-download it from your account. 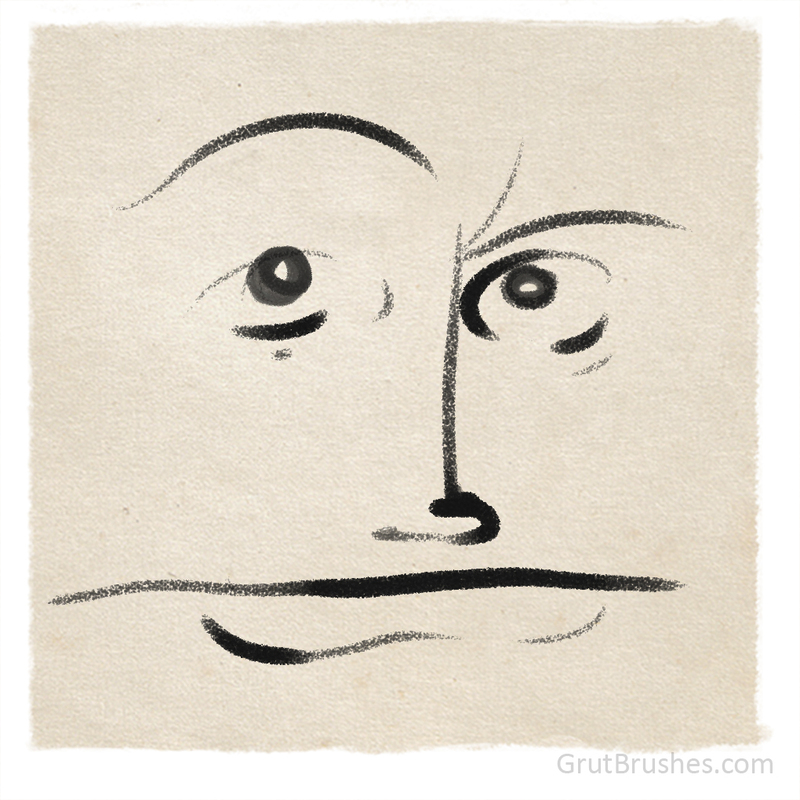 This week’s free Photoshop brush is this dry ink brush. 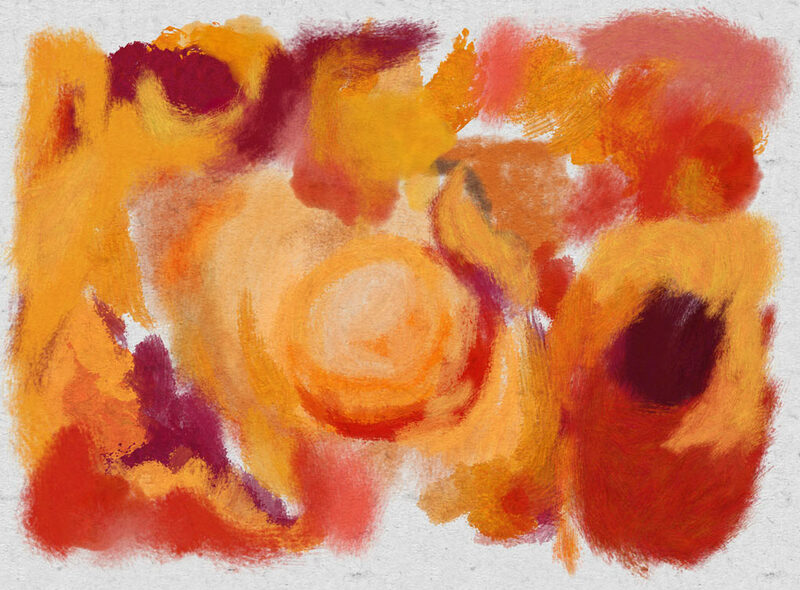 get it now on the free Photoshop brush of the week page or in the brush shop until Monday January 18th when there will be a new free brush. If you are a Photoshop CC 2014 or 2015 user you can use the GrutBrushes plugin to install the free Photoshop brush of the week directly into your tool preset panel and GrutBrushes panel without ever leaving Photoshop! Instead of clicking on the “Add” brush button to add brushes from your local computer, click on the “New” brush button to add brushes from the web. In the window that opens, navigate to the Free Photoshop brush of the week page and as long as you are logged in (signing up is free) you will see the orange download button, click on it and watch as this week’s free GrutBrush magically downloads, installs, and appears right in your GrutBrushes plugin panel. Members get to do this with every brush in the shop via the brush portal page so, join as a member or feel free to just keep downloading the free brushes. 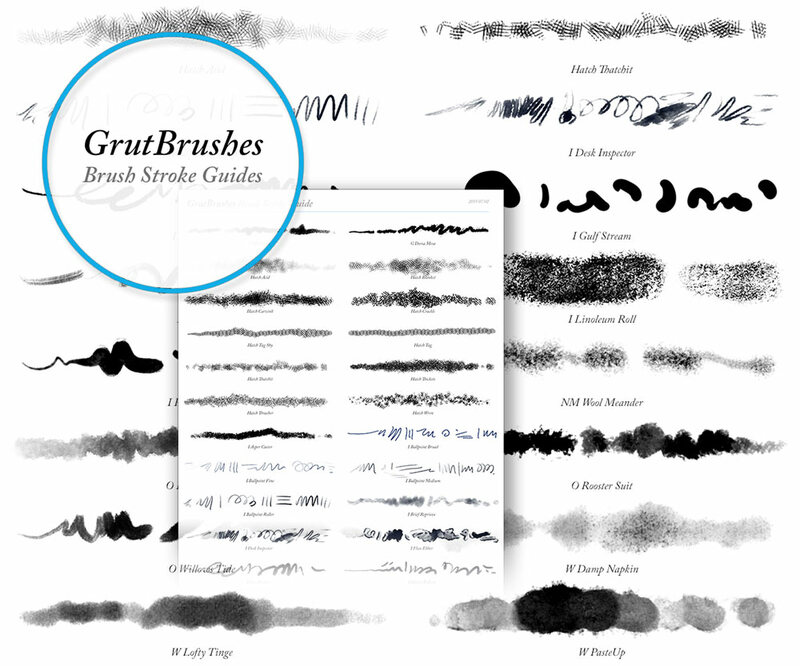 The November update to the GrutBrushes cheat sheets & brush stroke guide is here with about 30 new brushes added since the last update. 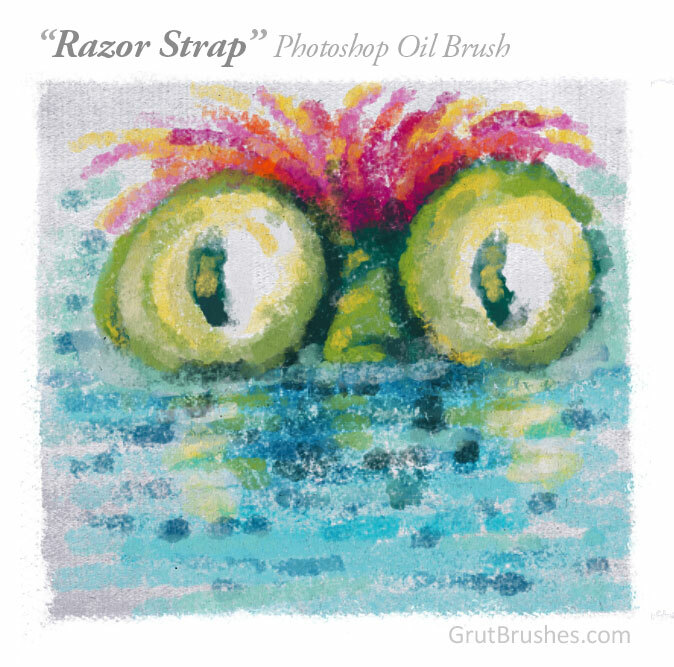 Painting with the Razor Strap Photoshop Oil Brush. This week’s free brush is a contoured oil brush with thick if broken up coverage at full pressure it has a lighter wetter coverage at low pressure with traces of pigment deposits amongst the medium toned turpentine like wash.
As always, you can download it from the shop or the member’s free Photoshop brush page for free until the end of this week (June 22) when there will be a new free brush. If you miss it for free each brush will move to the store where you can always purchase it and a new free brush will take it’s place.